“The business as usual” approach taken by many firms following the Brexit vote has helped boost UK growth this year, but it will not last, the British Chambers of Commerce (BCC) has warned. The business body expects GDP to grow by 2.1% this year, up from the 1.8% it forecast just three months ago. 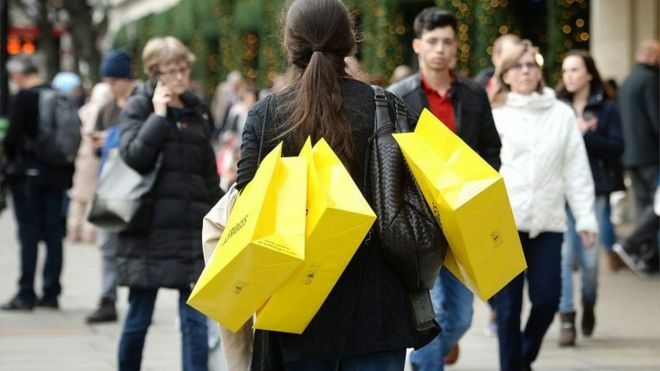 But uncertainty over the UK’s EU relationship and higher inflation will “dampen medium term growth,” it said. It expects the UK’s economy to grow by 1.1% next year, and by 1.4% in 2018. A separate report on business conditions from accountancy and services group BDO found business output rose for the first time in November after 17 months of decline. It said this suggested that “for now” the UK economy had stabilised “in a lower gear” than it had been running at before the referendum. However, it said, business optimism was continuing to fall, and it expected “a bumpy road ahead in 2017 for British businesses and the economy”. The BCC said its upgraded growth forecast for this year was driven by the stronger-than-expected performance of the economy in the third quarter when the economy grew by 0.5%. The 1.1% growth forecast for next year is a slight upgrade from the BCC’s previous forecast of 1%. However, the business group said this would still mark the weakest annual rate of growth for the UK since the 2008 financial crisis. BCC director general Dr Adam Marshall said firms’ “business as usual” approach since the EU referendum had helped keep conditions buoyant so far, but it expected the fall in the value of sterling to start to have a greater impact. The pound has fallen by about 15% against the dollar and 10% against the euro since the EU referendum. The BCC expects this to push up inflation, and hit consumer spending as wage growth is eroded by higher prices, as well as business investment. “Lower sterling and rising inflation are now starting to affect business communities and consumers across the UK,” said Dr Marshall. However, he told the Today programme that he did not forecast a recession or big spike in unemployment, and said forecasts could change. “We could be in danger of talking down businesses… A lot of them are out there saying that disruption and change creates opportunity and they’re looking for new market niches. He urged the government to do as much as it could to help UK firms overcome risk, saying it should start by clarifying the future status of existing EU workers as soon as possible “to end the insecurity now facing employees and businesses alike”. The BCC is a national body of 52 accredited chambers of commerce across the UK, representing over 100,000 businesses in total. During the EU referendum it decided not to campaign for either side because its membership was split.